Nine years ago, today, The Romance Dish opened its cyber doors for business and the rest, as they say, is history. I've had a wonderful time chatting with you about books - and life - throughout these past nine years. We've had some great times, lots of laughter, some sad times, and a few tears. It's been a wonderful journey, with wonderful people, and I thank you all for sharing it with us. I thought it would be fun to celebrate the blog's anniversary today with some throw-back posts from the past nine years. Hopefully, they will bring you a smile, tickle your memory, or perhaps introduce you to an unfamiliar author or book. Of course, being an anniversary, there have to be presents, right? Posts and Giveaways will be popping up all day so check back often! One of the first authors to visit with us was Australian Kandy Shepherd. Here's her post from December 7, 2009. I swapped a fast-paced career as a magazine editor for a life writing fun, feel-good fiction, says romantic comedy author Kandy Shepherd. She also states, Animals have always been a special part of my life and keep sneaking into everything I write. 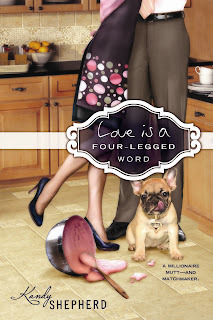 Her debut with Berkley Sensation, Love is a Four-Legged Word garnered great reviews. 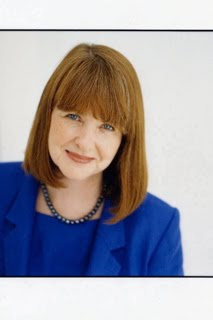 Please help us give a warm Romance Dishwelcome to Kandy Shepherd! Thank you Andrea for inviting me to The Romance Dish – and I’m waving to PJ too! I adore animals and they seem to sneak into everything I write. In my debut romantic comedy, LOVE IS A FOUR-LEGGED WORD from Berkley Sensation, my doggy characters are as important as the human ones. 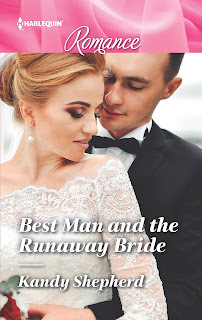 Brutus, the ugly little mutt who inherits a multi-million dollar fortune, has such a strong personality I had to be careful he didn’t overshadow the heroine Maddy and the hero Tom! as well as a cast of new doggy characters. The “hero” dog is a very big, very sad rescue dog named Mack. How do I research my canine characters? My best research is a lifelong love of animals. I’ve had dogs and cats in my life since I was a small child. There was a parrot, rabbits and even a white mouse (not a great pet to cohabit with cats…) My daughter has horses and I’ve learned to love them too. 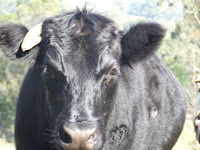 Then there are our two miniature Dexter bulls, Squirt and Thimble, who are nothing short of adorable! Thinking of animals as characters with their own special personalities and quirks is second nature to me. Is Brutus based on a real dog? Yes and no. Brutus is a purely fictional creation, an amalgamation, I guess, of many dogs I have known. The naughtier aspects of him probably come from a childhood dog named Copper. He was half bassett hound and half golden cocker spaniel and had a truly larger-than-life personality. Copper was utterly devoted to my brother and I have certainly drawn on that devotion in the character of Brutus. Their loyalty is one of the characteristics I love about dogs in general. Brutus’s greed comes from my Miss Molly who is always looking for opportunities to snuffle up snacks. There’s a scene in LOVE IS A FOUR-LEGGED WORD where Tom is kept awake by Brutus’s scratching and noisy dog tags and that definitely comes from real-life experience of dogs sleeping in my bedroom! Brutus’s name, however, was inspired by a real dog, my former next-door neighbor. 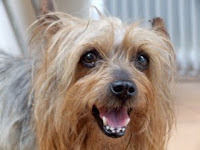 The “real” Brutus is not a scruffy Heinz 57 varieties kind of dog like my fictional Brutus, rather a silky terrier of impeccable pedigree. He has such a sweet little face that his tough-dog name makes me laugh. He’s getting old now but still sprightly and raring to go at the mention of the word “walk”. They say writers are “people watchers”. I’m that, of course. But I’m also an animal watcher. Yesterday I noticed how a little dachshund, walking unleashed on a busy sidewalk just ahead of her owner, kept looking back over her shoulder just to check he was there. I found that endearing and will probably write it in somewhere. Connie, the border collie whose work ethic was so strong she left her tiny puppies to herd sheep; Snowball and Snowden the sweetest bull terriers; Lily the discerning miniature poodle; Tiza the one-eyed shih-tzu; Fella the enormous mutt who thinks he’s still a pup; Benny the naughtiest-ever beagle; and all the dogs I’ve known, even for a chat over the fence, thank you for loaning me aspects of your unique personalities to help create my fictional dogs. Like my human characters, at some stage in the writing my canine characters take on their own personalities and become as real to me as any flesh-and-blood-and-fur dogs. In my mind’s eye Brutus is a very real individual! Important as my doggy characters are, I never lose sight of the fact that they are secondary characters in my stories. I’m careful that they don’t distract from the developing romance between the hero and the heroine. But the reactions of the human characters to the animals can give great insight into the human’s personality—I have a lot of fun with that! And vice versa. In LOVE IS A FOUR-LEGGED WORD, Brutus sniffs out the truth about handsome Jerome long before Maddy does. I’m grateful to the animals in my life, not only for their companionship and love, but also for their help on my journey to publication. Could I have written LOVE IS A FOUR-LEGGED WORD without the inspiration of my animal friends? I don’t think so. If I didn’t genuinely love animals and know their habits so well I couldn’t write about them convincingly. 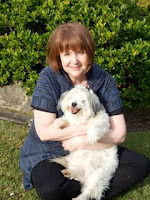 Kandy Shepherd now writes emotional contemporary romances set in exotic locations for Harlequin Romance. 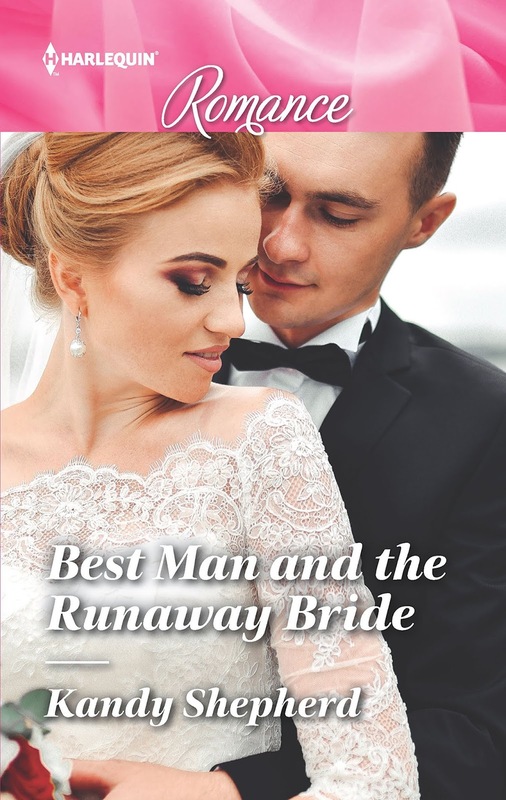 For a Kindle copy of her latest release, Best Man and the Runaway Bride, tell me about the animals that share your life or, if you don't have animals, tell me what exotic location you'd like to visit. Winner will be chosen from all comments posted before 11:00 PM, November 3. Happy Anniversary and many more. Loved my son's sweet Celeste - he had to put her to sleep in April. I would love to visit Italy. Happy anniversary and so many more. One of my favorite blogs. I have indoor and outdoor cats. Have 2 dogs. My dream vacation is to go to London England and Scotland. Happy 9th Anniversary. I have a adorable grand-doggie, her name is Bella. I hope to go home to England next year for a visit. Happy Anniversary! You have created a fun and welcoming place here that is a reflection of your own personality. Wishing you many more years! I have two wonderful granddogs in my life right now. I am fortunate to have visited a lot of exotic places, but one that is still on my list is Spain. Happy 9th Anniversary! We don't have pets, but animals? There was a need for some house repairs for the entirety of spring and summer this year. We were in temporary housing. When we returned we noticed an uptick of animals in the garden. Late, one night I heard a ruckus outside and turned on the light to the backyard patio. A bit farther away near a tree were several raccoons, a skunk and a possum. I have no idea what had drawn them to the yard and had never noticed such a congregation before. A few days later, during the daytime, I faced off with a groundhog in the garden. And while I might be able to see if the little fellow casts a shadow come Feb. 2nd, I don't mind just finding out from the news. Happy Anniversary! No pets here but I would love to visit Scotland/Ireland. I inherited a rescue dog 2 years ago when my best friend and book buddy passed away. I tell my dog about the books I’m reading but sure miss sharing with my friend. No pets but I'd love to visit Scotland, Ireland and the Amalfi Coast in Italy. Congrats PJ on 9 wonderful years. The only animals in my life now are my granddog, grandcat and two grandferrets. Hubby and I are hoping to get a dog soon to join our family. We’ve been without one since our 17-year-old rescue dog died a few years ago. 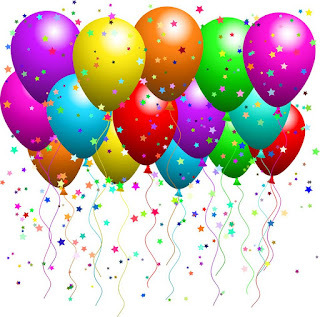 Hi PJ, Happy Anniversary to the wonderful The Romance Dish! I was privileged to be among the first to post on the blog and am honoured to feature again today revisiting that post. Here's to another nine years!